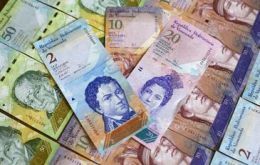 Venezuela's GDP contracted 2.4% in the second quarter of 2009 from the same period a year earlier, the central bank reported Thursday. In the first half of the year, the economy has contracted 1% against the same period a year earlier. 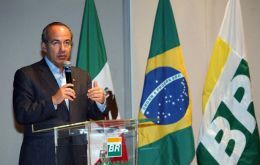 Mexico's President Felipe Calderon has said he will propose a free trade agreement with Brazil. Trade enriches economies, said Mr Calderon during a meeting with business leaders in Sao Paulo. One of the largest glaciers in Antarctica is thinning four times faster than it was 10 years ago, according to research seen by the BBC. 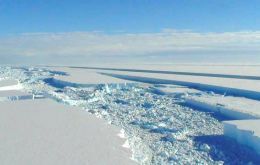 A study of satellite measurements of Pine Island glacier in west Antarctica reveals the surface of the ice is now dropping at a rate of up to 16m a year. A whale's tooth decorated by a marine on board the Beagle during Charles Darwin's expedition is set to fetch £50,000 at auction next September 16th, reports The Telegraph. 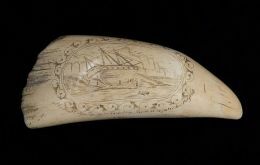 The scrimshaw, a piece of work created by a whaler, depicts two images of HM Sloop Beagle, one when she was at sea and the other when she was beached for repair at Santa Cruz in Argentina in 1834. With the challenge of strengthening international cooperation for development of Antarctic science, the XXI Annual Meeting of the Council of Managers of National Antarctic Programs (COMNAP) started yesterday. 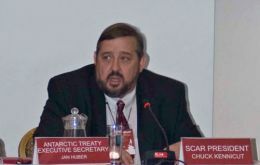 COMNAP is one of the most important forums of the Antarctic Treaty System. For a week Chile and more precisely Punta Arenas in the extreme south will be the hub of Antarctic scientific discussions when the XXI Annual Meeting of the Council of Managers of National Antarctic Programs officially opens this Monday. 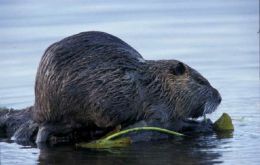 Billions of dollars are spent every year in the United States in an attempt to control invasive species. Plants and animals brought legally and illegally into the US have created extensive damage to the ecosystem and the economy. 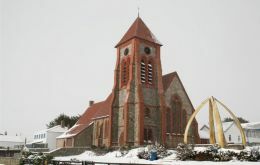 ALTHOUGH the Falklands can expect cold weather at this time of year, heavy snow which fell over the past week was a record for recent years.